A stunning illustration of a bunny in a headress - A chief amongst cards! 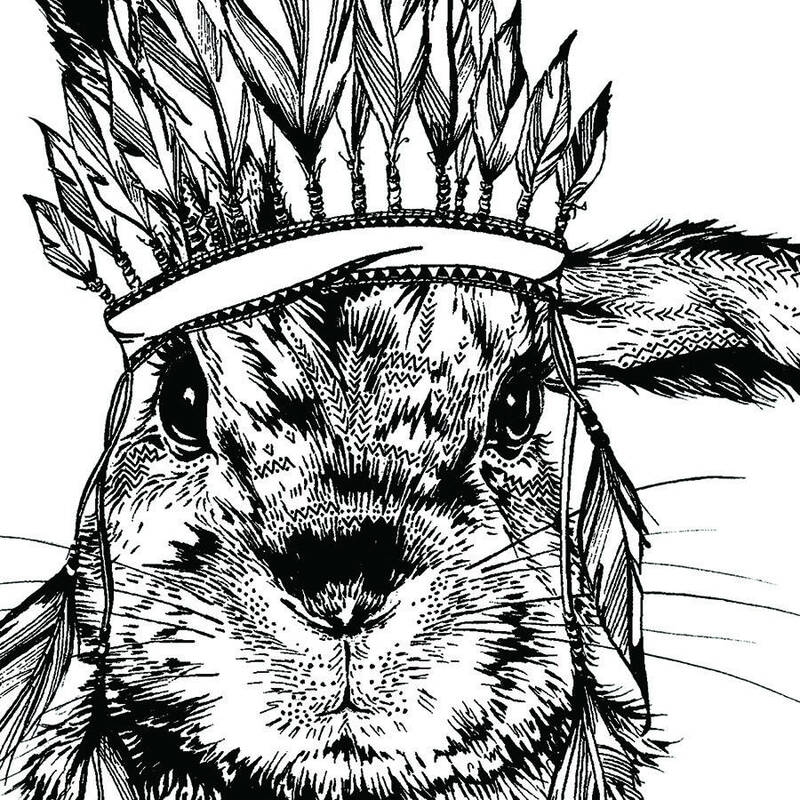 Full of character and fun, this beautiful and detailed illustration makes the perfect greeting card for any occasion! 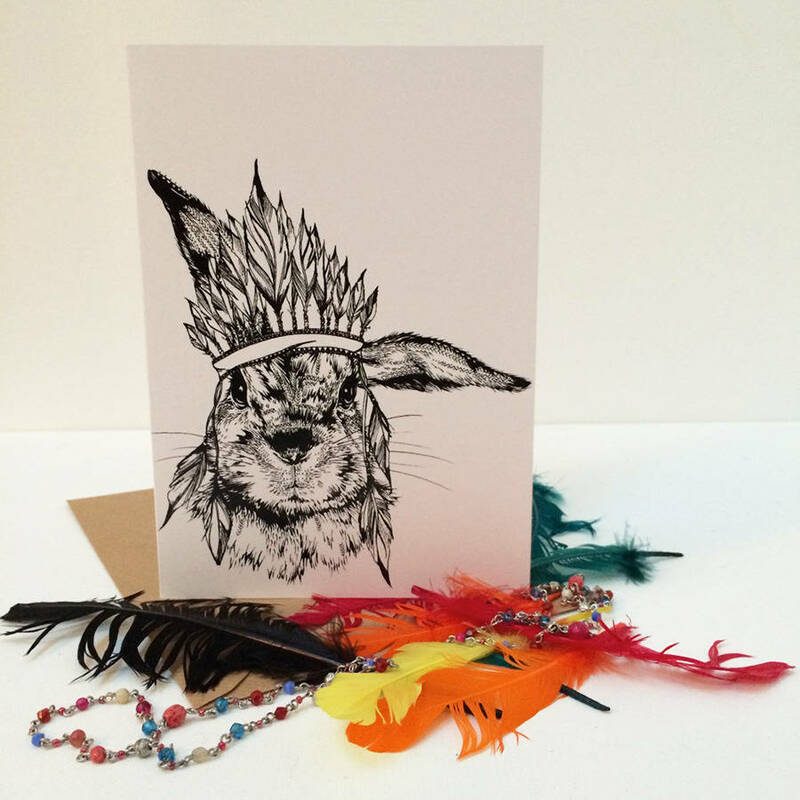 This bunny is a chief and his majestic feather headress makes him stand out from the crowd! card dimensions H21 x W14.8cm. A5 sized card with envelope to fit. Portrait Orientation.